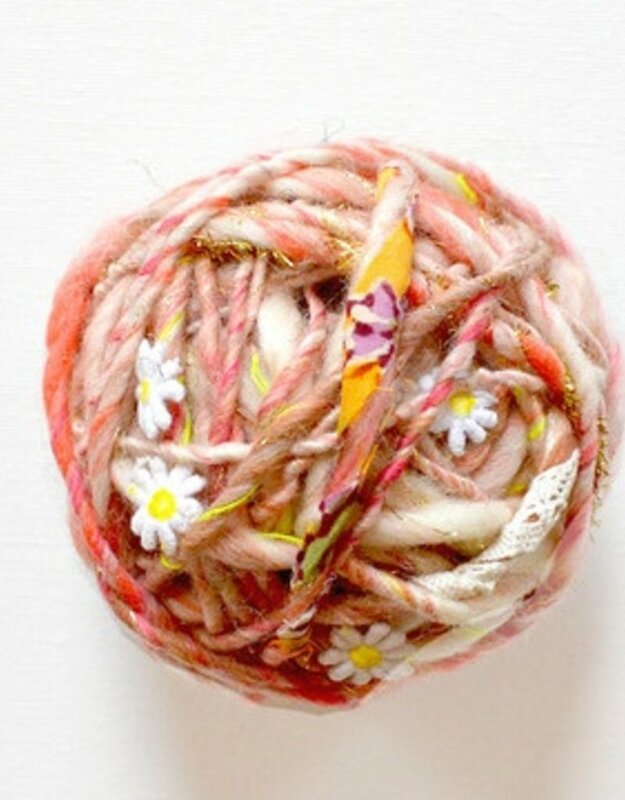 Daisy Chain yarn was born out of our eternal love for daisy chains, flower crowns and all the wonderful feelings connected to them. 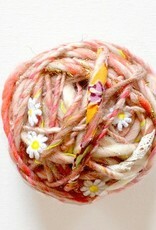 Bits of tea-dyed lace, hand-printed Jaipur fabrics and daisy trims are handspun into each colorway. Of course, you'll also find our signature sparkles and pretty hand-carded heathered colors. Even though the raw materials are the same, no two skeins are completely alike because of the intense handmade process that goes into each and every skein.